CircuitWorks® Flex Conductive Pen makes instant highly adherent silver traces on flexible polymeric substrates used in flex circuitry. 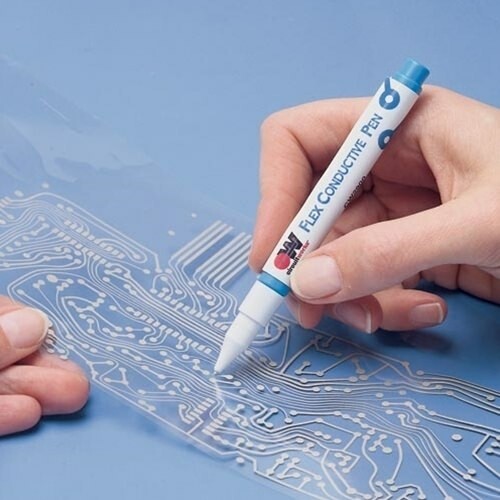 This material is used in prototype, rework and repair of Mylar®, Melinex®, and other flexible circuits by linking components, repairing defective traces, and making smooth jumpers. 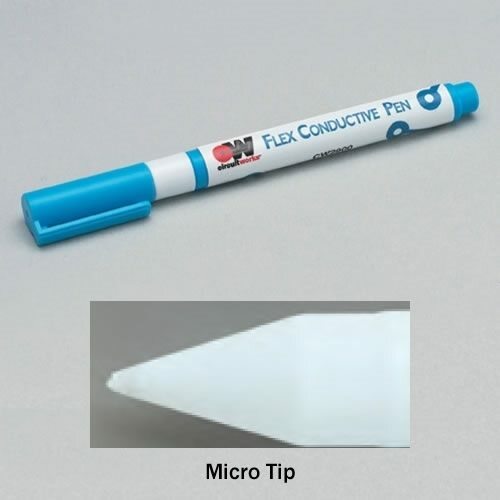 The Flex Conductive Pen traces also have excellent adherence to Indium Tin Oxide (ITO) substrates. 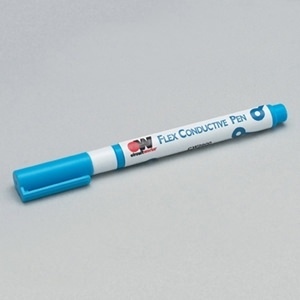 The silver traces dry in minutes and have excellent mechanical properties.